Review: I've purchased so many in the past and never leave feedback but this wig is by far the best I've ever ordered and I usually order full lace. This is my first lace front only wig and it's gorgeous and came about a week. Very fast delivery. Review: Omg this hair is amazing. So soft with minimal shedding! I cut the lace and bleached it. I'll give an update soon! Thank you! 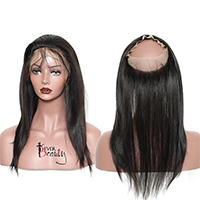 Review: Hi ,i order my wig with Mike and I'm in love with that it's very full and soft, the communication and the expedition time are so great... the seller was very kind with me. P.s: if you love more length I recommended 20 inches or more because 18 is not too long . I will reorder with this seller again. for sure thks. Review: the hair quality is always great I only order my hair from ever beauty , I received my order very fast and seller was very quick to resend to any queries. Review: The hair is awesome!!!!! My daily routine is a spray bottle, a denman brush, and some mouse. It doesn't tangle, it's so easy to take care of! I have gotten sooooo many compliments! LOVE! I got it two days after ordering and the communication was great! Review: I just opened wig and i thought i was fantastic!! seller communicated great and answered all my questions ! Overall I will purchase hair again, very soft and clean. I recommend this to everyone. I will post pics after installed. Thank you so much!!! Review: The hair is awesome!!!!! My daily routine is a spray bottle, a denman brush, and some mouse. It doesn't tangle, it's so easy to take care of! I have gotten sooooo many compliments! I got it two days after ordering and the communication was great! Review: First of all, the customer service was pleasant. Then I received the hair. 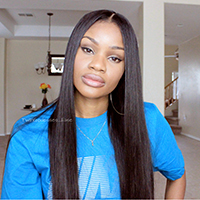 It is so beautiful however you have to bleach the knots or use your foundation underneath the hair (frontal part) to make it blend to your skin tone. Also you need to use your hand to release the hair to be fuller. It is 250% density. You just have to use your fingers as a comb to make increase the volume. Beautiful hair. Review: The hair is good, really soft and curly!! I did cowash the wig be hand and it look extra pretty when wet!! Review: Great wig, hair quality is good as well. A wash and go works great! I recommend wearing a brown wig cap rather than a black one. The wig has a natural hair line. If you enjoy wearing it with a part I def recommend plucking it out more to be more defined. Overall I would purchase this wig again! Review: Great product! This hair was purchased for a client and I'm looking into one for myself! Lillian was a great communicator on the manufacturing process and clarity of the product and shipping. It shipped in a week and arrived in 4 days. When you get it it will have a plastic smell but that's its packaging and I aired it out for about a week and it went away. My client is in love with it. Great product! Review: I'm initially very pleased with this hair. Even though I was expecting a slight looser curl pattern. The hair is very beautiful and soft. It takes well to heat and gets back into it's natural texture. It doesn't tangle and is easy to run your fingers trough. The back tends to matt up a bit. But it is quickly fixed with some leave in conditioner. I've been wearing this hair for 2-3 weeks straight. I give it a 8 out of ten! I'm definitly buying more! The seller is WONDERFULL and SWEET! I asked for quicker delivery and my package was here in 4 days! SO GREAT! Review: I placed my order last Friday, I received Wednesday. Lillian kept me up to date on everything!!! she also gave me reassurance that the wig will last me a long time and that this is a safe reliable purchase. the hair is heavenly. it's a beautiful curl pattern, and when put into a bun is even more curly when taken down. this hair is beautiful. the burn test proved it to be real human hair!! fyi, it is a full lace wig so automatically there will be shedding, due to loss knots, any full lace will have shedding, especially with random plucking for customizing it. it's very versatile. you can do any style your little heart desires. this is a purchase I'm proud of. 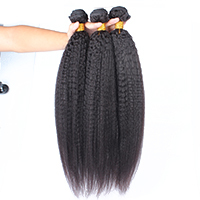 Review: Very good quality hair, really soft and full Lillian was also very great at helping with my order Costumer service for this company is 100% Im glad with the purchase I made. Review: I purchased my hair at 20in. 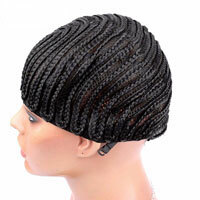 with 250% density and only a lace front. I AM IN LOVE! Very minimal shedding..even after washing and brushing. very versatile as you could wear the hair big and curly or let it ge naturally in it's on state. takes to heat very well!! I received the hair within 4 days after purchasing and the seller stayed in contact with me the entire time! she's very nice and truly wants her customers happy. The hair is very FULL and comes with baby hairs so it's very easy to get a natural looking part wherever you'd like. Review: OMG!!!! I loveee this hair!!! Curls are beautiful and soft. The communication was perfect. I contact the sender Tuesday and I got a response back fast. and shipping was fast. I've been wearing it for 3 weeks now it's minimal shedding the hair is just like natural hair, the density is true 250%, the ends full and thick too, I would definitely recommend this unit and will be ordering again. Thank you for a great unit. I will be purchasing again in the future.